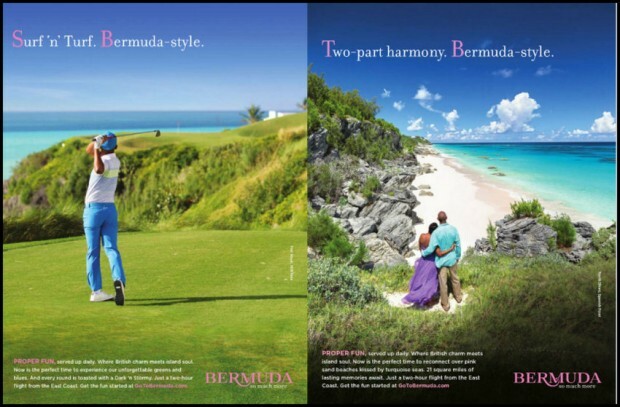 A 26-page Bermuda profile, debuted in Delta Airline’s Sky magazine this month, is estimated to reach 5.5 million readers as they fly Delta during the busy holiday travel season, the Bermuda Tourism Authority said. “The December 2014 Sky edition thoroughly examines Bermuda’s lure as a leisure, business and wedding destination. Editorial coverage touches on shopping, culture and culinary options around the island, while golf, fishing and flyboarding are among the activities featured,” the BTA said. Sky had full editorial control on the feature, choosing to explore four of Bermuda’s tourism hubs: St. George & St. David’s Island, Hamilton, Dockyard and South Shore beaches. Visitor hubs were identified in the 2012 National Tourism Plan and are a focus of the BTA’s Product and Experiences team. Sky is free to Delta Airline passengers including non-commercial flyers on Delta Private Jets and in Sky Clubs around the world. 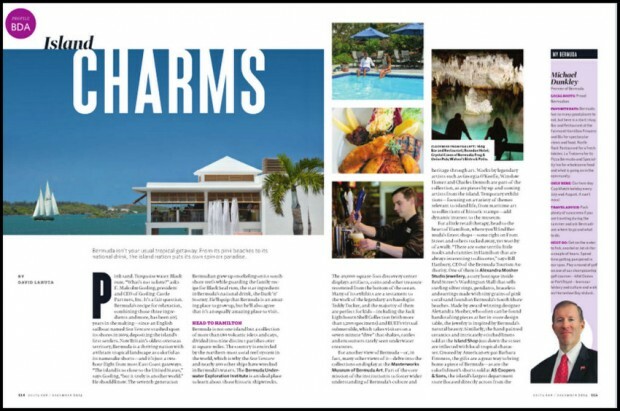 It can also be read online here, with the Bermuda feature starting on page 113. Good to see where our money is going. Lord knows Global Hue didn’t do stuff like this with our money. Actually, I don’t even know what Global Hue did with our money! what did they really do with our money haha?! (DELTA don’t do anything free!). Well the BTA budget is published and it comes out of there. The BTA budget was less than the last BDOT budget. I am not sure what your complaint is exactly. 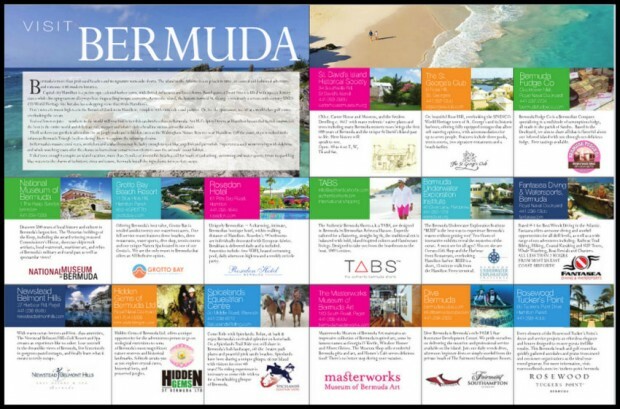 It says that there were 20 advertisers from Bermuda, only one of which was the tourism authority. I would guess that means… not too much from the Bda taxpayers. Also, if Delta retained full editorial control, then presumably the whole spread would not be as expensive as a 26 page advertising supplement. Delta does have a vested interest in seeing people fly here! Probably less than bringing Beyonce who in the end only added to our deficit. Well done, BTA! This most definitely well positioned advertising. Please follow-up with collecting data on where our visitors heard about Bermuda. all i see on flights these days are i pads,kindles,tables,laptops,in flight movies & TV. do people still read magazines on planes ? seems like a real late 90′s strategy. The sheer volume published alone guarantees a fair bit of readership, even if it’s of the quick flick and toss variety. Plus, some magazines get extended shelf life on coffee tables, doctor’s offices… they’re not ancient relics of a bygone era just yet. The airlines wouldnt bother printing those magazines if they werent working for them. I read them as it takes up 20 minutes of any flight I am on. I have every one of those items and when they tell me to turn them off for take off or landing. You bet I am reading the inflight mag. In addition when in flight lounges they are being glanced at and read by waiting passengers. You will be surprised how many read the free publication. Yes the inflight mag is alive and well. Many peope read them. there is still much value to be gained from print ad campaigns. still feel like a page out of the 90′s tourism play book.